The daughter of a soldier killed in Vietnam graphically chronicles the permanent wounds his death inflicted on his family. While she honors all those who like her father served their country in that war, Zacharias is more intent on writing about the pain that war inflicts, not its inherent morality. In the summer of 1966, when she learned of her husband’s death, Shelby Spears was living in a trailer in rural Tennessee with son Frankie, middle child Karen (the author, then a third-grader), and baby Linda. Shelby dropped out of tenth grade in 1953 to marry David, a career soldier who reached the rank of staff sergeant. She liked life as a military wife: she enjoyed being stationed in places like Germany and Hawaii; she found that other families on the bases were always supportive; and health services and schooling were readily available. After David’s death, however, her own family was little help as she struggled with her grief and the problems of raising three children on her own. Zacharias describes moving to Georgia and living in a succession of dingy trailer courts while her mother completed high school, went on to nursing school, and finally earned enough to buy a house for the family. But her success came at considerable cost. Shelby had a number of affairs, often bringing strangers home at night. She left the children alone to fend for themselves while she worked or partied. And she never talked about their father, which hurt the most. Frank turned to drugs, and Karen, though a devout Christian, became pregnant in high school and had an abortion. The family survived, but it was a long and rough haul. They remained haunted by their father’s death, which Zacharias hints may have resulted from friendly fire. 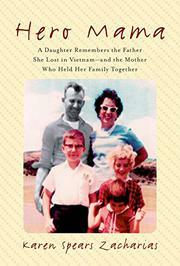 The author continues to be active in Vietnam veterans’ affairs. Though the family’s plight is overdetailed, the current war with Iraq gives their story particular relevance.